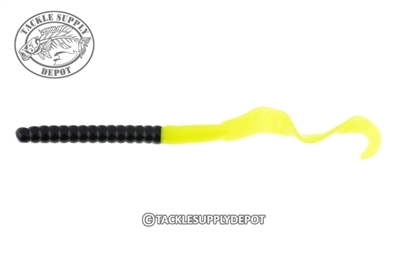 The Berkley Powerbait Power Worm has been a staple plastic from Berkley for years and it has resulted in countless fish catches and tournament wins. Offered in an array of sizes the 8.5 inch is one of the more recent to join the family and fills the gap between the 7 inch and 10 inch proven sizes. When that mid-size is needed the Berkley Powerbait 8.5 inch Power Worm fits the bill. Featuring the streamline ribbed body that ends in a tantalizing ribbon tail which twirls and curls with effortless ease on the fall or as the worm is swam over flats and through cover. This size is ideal for flipping cover to dragging structure where the big ones hide out.